We provide a wide range of plants, fruit trees and bushes, shrubs, perennials and trees, which available all year round. Below is a selection of products that we have available at the nursery. SEEDS – A large selection of flower and vegetable seeds available also onion sets, shallots, seed potatoes and grass seed. 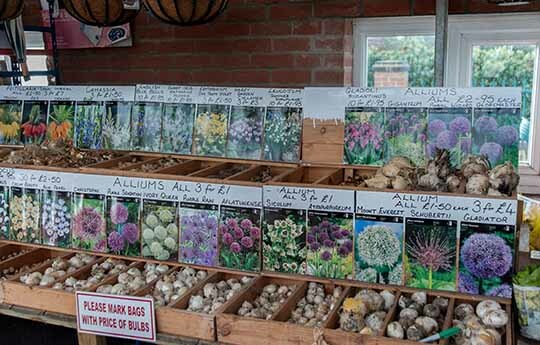 BULBS – Summer flowering bulbs available from mid-February with Spring flowering bulbs on sale from end of August. 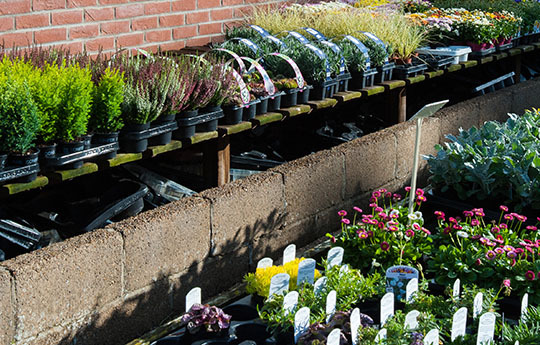 PERENNIALS – An extensive range available mid February onwards and throughout the summer. 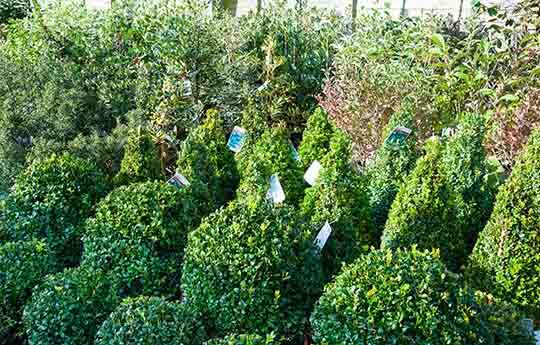 SHRUBS – A very large selection of evergreen and deciduous shrubs available throughout the year. A large colour range of primroses and pansies available in season. Summer bedding plants available from end of April onwards together with an extensive range of plants for hanging baskets and patio pots. Hanging baskets made to order, also available ready filled end of May onwards. TREES – Bareroot fruit trees available November to end of March – Containerised also available throughout the year. A large range of containerised ornamentals trees always available. HEDGING – Plants including, privet, hawthorn, black thorn, beech, hornbeam, laurels and leylandii available when in season. 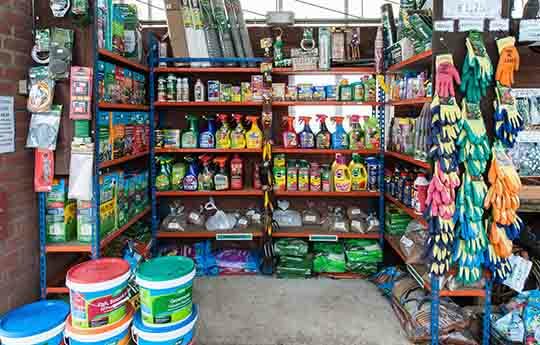 A basic range of sprays, weed killers and fertilizers available for keeping all plants clean and healthy looking. Quality bamboo canes. Tree stakes and ties. COMPOST – A wide range of quality composts including multi-purpose, ericaeous, john innes, decorative bark and gro-bags for sale.